New Zealand is an island country in the southwestern Pacific Ocean. 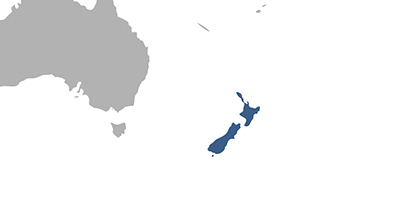 The country geographically comprises two main landmasses ‒ that of the North and the South Islands ‒ and numerous smaller islands. New Zealand is located some 1,500 kilometres (900 mi) east of Australia across the Tasman Sea and roughly 1,000 kilometres (600 mi) south of the Pacific island nations of New Caledonia, Fiji, and Tonga. Fees associated with registration of IP rights in New Zealand are available in the fee calculator.